Once upon a time, personalised marketing (sometimes referred to as individual marketing) was all about placing the name of a customer at the top of an email. It took little effort or knowledge and was a simple way to fake familiarity. But studies have shown this method of marketing could actually be harmful. Pretending you already have an established relationship with your customer simply by using their name can turn people off your brand if the content is not relevant to them. Given today’s high cyber security concerns, such as phishing, identity theft and credit card fraud, many customers feel wary about emails that possess a personal greeting. There is something sketchy about a brand that knows your name, yet makes no effort to understand your wants and needs. This is not to say that personalisation doesn’t work. In fact, it is still considered one of the top marketing tools a brand can use. The key today, however, is to personalise marketing in a meaningful way. Thanks to Customer Relationship Management (CRM) and other technological advances, getting to know a customer these days is easy. Any business, be it large or small is capable of gathering data that can then be used to offer a tailored service for every customer. Brand managers can now communicate with their customers about their individual interests and preferences, creating a much richer picture of behaviours and needs. 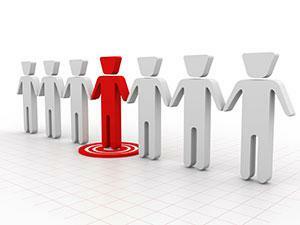 The principles of personalised marketing are akin to meeting someone for the first time. If you only talk about yourself and fail to listen and get to know the person you are talking to, the other person is likely to recoil. Similarly, if you listen only to turn around and talk about something entirely different, you risk turning your conversation into an awkward one. Essentially, putting content in front of a customer that is irrelevant or mistimed will cause the customer to disengage. Instead, your goal should be to give your customer exactly what they want, before they realise they want it. For many marketers, email remains the ultimate marketing channel. The rapid increase of mobile devices has only strengthened email’s effectiveness for lots of brands, but with hundreds of emails being sent to a person daily, tailored emails must be used to avoid deletion. Amazon was one of the first retailers to make use of customer data and to see its incredible value. In 2004, Amazon transformed the ecommerce industry by offering individual product suggestions based on preferences, search history and previous purchases. Today, Amazon still cleverly uses this form of marketing, emailing their customers with suggestions of products to buy. They take this a step further by combining their email marketing campaigns with events such as Mother’s Day, Valentine’s Day and Christmas. Pharmacy and beauty retailer, Priceline, shows that using customer information doesn’t have to be complicated. Taking a customers birth date, Priceline sends an email with a special discount for the birthday boy or girl. This ‘gift’ makes the customer feel special and appreciated and will likely drive a sale for the store. Multinational grocer and general merchandise retailer, Tesco, is able to personalise their email messaging via ClubCard membership. Utilising data collected, Tesco can present recipients with a recommended shopping list based on previous preferences or purchases, giving customers access to an already prepared shopping list. All they have to do is hit the ‘Buy’ button. This personalised shopping list campaign is not just based on online orders, but also based on in-store purchases. This shows that the bridge between offline and online commerce can be crossed successfully. Travel club Secret Escapes knows that many people suffer from Mondayitis and they use this to their advantage. As their customers make their way to work early on a Monday morning, Secret Escapes tease them with an email depicting beautiful images of picturesque beaches, landscapes and cultural experiences. Using data received from previous searches or holidays, their suggested holiday escapes can be tailor made. But personalised marketing can go deeper than the humble email. Other brands are making the most of lower production costs to personalise products that exist in the real world. Coca-Cola’s #shareacoke campaign has proved to be a major success, both in Australia and the UK. Originally trialled in 2011, Coca-Cola replaced its usual branding with 150 popular names, personalising individual bottles. The campaign encouraged friends, family members and colleagues to share a picture on Facebook, Twitter or Instagram, placing the brands imagery in front of millions of people. In Australia alone, the campaign earned more than 18.8million media impressions, 870% growth on Coke Facebook traffic and a 39% growth in Facebook likes. In the UK, the hashtag has been used around 30,000 times on Twitter. Vodka brand Absolut took an inventive step with their packaging in 2012, re-engineering its production plant so that splash guns and colour-generating machines could coat the bottles in personalised colour combinations. During the campaign, 4 million ‘Absolut Unique’ bottles were created and sold. NIKEiD is a service provided by the footwear giant that allows customers to personalise and design their own Nike merchandise. The service can be accessed both online and in physical branches (called NIKEiD Studios) and was initially launched back in 1999. Interflora’s ‘My Creation’ allows customers to create a bouquet of their choice by customising their own design. Online shoppers can choose their flowers from colour or meaning, drag and drop their flowers into place, add a vase or ribbon and then make someone smile by sending them straight to their door. The rise of social media makes it easier than ever to personalise campaigns and run competitions, and many brands are doing this well. A common problem for brands is people searching for a product and exploring it, only to fail to hit the ‘buy now’ button at the last minute. Instead of just letting this be, online clothing retailer The Iconic uses remarketing on customer’s Facebook pages to show an image of the product they were looking at, ask them if they are still interested in it, and remind them of other benefits like free delivery and returns. In 2012, Arnott’s launched “Truly, Madly, Tim Tam”, an integrated advertising campaign inspired by the comments of one passionate Tim Tam fan on their Facebook page, who wished that Tim Tams would grow on trees. The first commercial in the campaign captured the joy and excitement of people discovering the Truly, Madly, Tim Tam Orchard, which was created in Martin Place, Sydney, with over 100,000 Tim Tam biscuits. Tim Tam fans could also add their name to the television commercial via a Facebook app, creating sharable content for social networks.